Write For The NCCI Blog! Paid opportunity for writers with disabilities in the North Country! Must relate in some way to the experiences and issues of living with physical, intellectual, or mental disabilities. We are generally looking for writing focused on the everyday practical, social, and / or emotional experiences of living with disabilities, not on medical research, treatments, or therapies. Some editorial assistance and feedback will be provided, including comments and suggestions on how drafts can be improved before publication. NCCI’s Executive Director will choose up to two pieces per month to be published. After each item is posted, the writer may submit a voucher for payment, which will be made within 30 days of receipt. Submit drafts by email, to: apulrang@icloud.com. Or, paper drafts may be delivered to NCCI at 80 Sharron Avenue, Plattsburgh, NY 12901. For more information call us at 518-563-9058. The deadline for final drafts is the 15th of each month. Job fairs happen periodically around the North Country every year. If you are at all interested in a job search, go to this one on May 21st, and keep an eye out for future job fairs in the area. Are you looking for full time, part time, temporary, seasonal, or continuous employment? Are you looking for indoor or outdoor work? Physical work or work that’s mainly about thinking, planning, and creating? Do you like simple routines, or do you prefer work with variety and the unexpected? Do you want to work with the public or behind the scenes? Do you want coworkers, or do you prefer working by yourself? Do you have a specific career in mind, or are you open to a variety of fields? How do you plan to talk about your disability? Will you keep it to yourself or inform your employers … and at what point? Will you need some accommodations on the job? 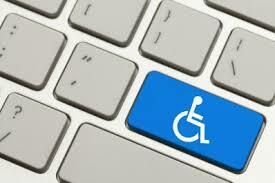 Are you concerned about discrimination or being screened out because of your disability? Can you explain your disability simply, briefly, in a way that makes people more comfortable? A general regional resource for all job seekers. Provides help and, in some cases, funding assistance for job seekers with disabilities. Provides employment services for people who are blind or visually impaired. Peer support and information on employment, benefits management, workplace accommodations, and disability rights laws in the workplace.